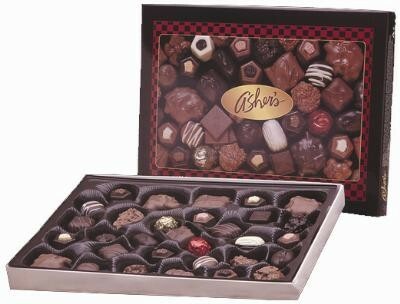 Asher’s Milk and Dark Chocolate Assortment comes in an 8 oz. designer gift box. Each chocolate is a mouth-watering treasure filled with the finest ingredients and flavors. 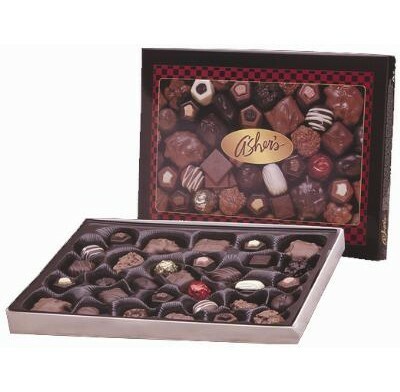 This assortment box includes time-honored classics like buttercreams, chocolate-dipped nuts, toffees, chocolate covered fruit purees and decadent chocolate truffles. Leave these out on your own table or give them as a gift and they’ll be gone in a matter of seconds. Kosher Dairy 12 boxes per case.